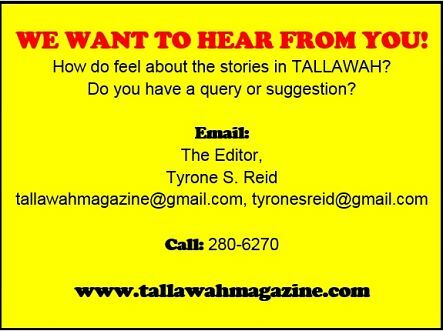 GUEST OF HONOUR: Rohan Marley may be in the island to film scenes for his reality TV show, but that didn’t prevent him from lending some star power to a worthy cause. 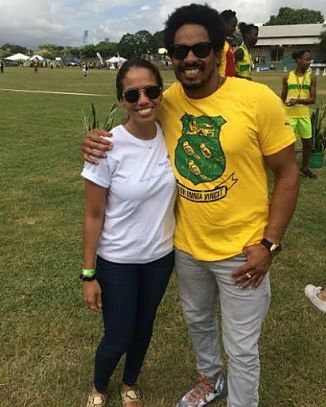 Last week, the businessman/sports buff joined Lisa D’Oyen (Executive Director of the Heart Institute of the Caribbean Foundation) at the HIC-sponsored Wesley Powell track and field meet. Marley is said to be particularly fond of one participant – rising star Brianna Lyston of St. Jago High, who is being hailed as the next big thing in Jamaican athletics. 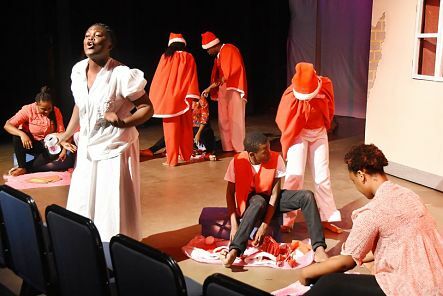 STAGE MAGIC: In the spirit of the season, and thanks to the JN Bank Member Advisory Councils from the Half Way Tree, Duke Street and downtown Kingston branches, close to 100 students, teachers and parents representing Harbour View Primary and 2017 Junior SCQ Champions, George Headley Primary, were recently treated to a special performance of the School of Drama production, A Carol for Moneybags. A Jamaican adaptation of Charles Dickens’ classic children’s tale A Christmas Carol, the melodically-enriched play (penned by Barbara Gloudon and directed by Pierre LeMaire) centres on a miserly old businessman (very Scrooge-like) who chastises his employees and others for spreading holiday cheer but is made to discover the true meaning of Christmas and becomes a reformed man after his encounter with the four ‘Christmas duppies.’ The presentation offered a great opportunity to introduce the youngsters to live theatre and other aspects of the performing arts. “We simply wanted to do something for the children that would not just fete them for Christmas but provide them with ideas and concepts to underscore the meaning of Christmas,” says Chevanese Peters, JN Foundation project officer. MAKING MERRY: There’s nothing the kids of Sherwood Content look forward to more for Boxing Day than the annual kiddies’ Christmas treat, sponsored by the community’s world-famous son Usain Bolt. 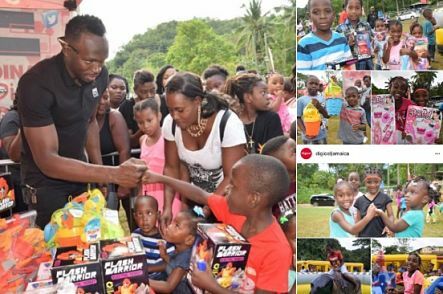 As is customary, Bolt and members of his team made the journey down to Trelawny to bond with the kids who get to enjoy fun rides and other activities, food galore, lots of presents and a meet-and-greet with the living legend himself. Bolt and his UB Foundation continue to support this and other annual initiatives (like the Heroes in Action 5K Run/Walk) that exemplify the ideas of social responsibility and giving back to one’s roots.